Netsanet Gudeta crossing the finishing line at World Half Marathon event in Valencia, Spain. 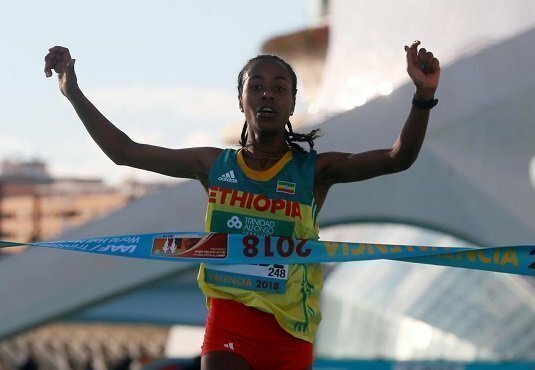 Ethiopian Athlete Netsanet Gudeta Kebede won World half marathon race in Valencia, Spain in a time of 1:06:11. She was in the leading pack since from 15 kilometers. The 27 years old Ethiopian athlete Netsanet is awarded US$ 50,000 cheque.